*Price incl. all costs to be paid by a consumer except for taxes, licensing & regist. Stk # P18711A, VIN # JLB19592; MSRP $47,500. Closed end lease incl. 10,000 mi/yr w/excess @ 30¢ per mi. over. Due at signing: $399 1st mo. pymt, $4,995 down pymt, $499 doc fee & $995 bank fee. Ttl pymt/ttl cost/residual: $15,561/$22,050/$33,050. Lessee resp. for maint. & excess wear & tear. Subject to primary lender approval. Lease # 56393-5. 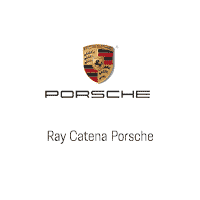 Contact Ray Catena Porsche for details. Ends 5/01/2019.